The use of load balancing with multiple WAN links can provide simultaneous outbound traffic efficiency and optimizing bandwidth. The following is a typical scenario of load balancing that involves all Internet traffic and can dynamically share the WAN links Round–Robin Algorithm. This is when the new Internet connections alternate between WANs available. This is a key component with regards to “Load Balancing”. This protocol allows a specific service to be associated with one of the available WAN links. Source Network: The user specifies the LAN hosts assigned to the Protocol-Binding rule. Only those hosts that are linked to the protocol can therefore transmit or receive traffic through the WAN selected, meanwhile the other hosts will transmit traffic via the other WAN port(s). 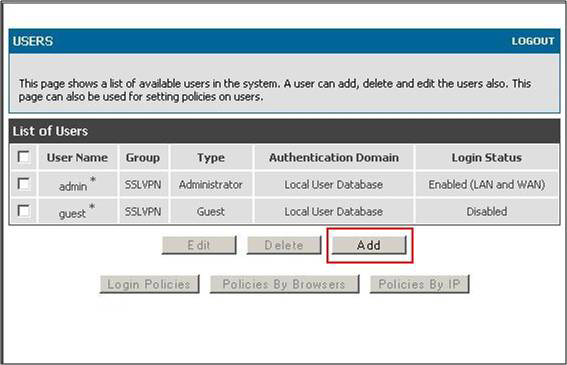 The user may choose to assign the rule for any host or a single machine within the LAN and / or alongside hosts within an IP pool. When a user adds a rule, the device updates the new entry and displays it in the Protocol Bindings List table. 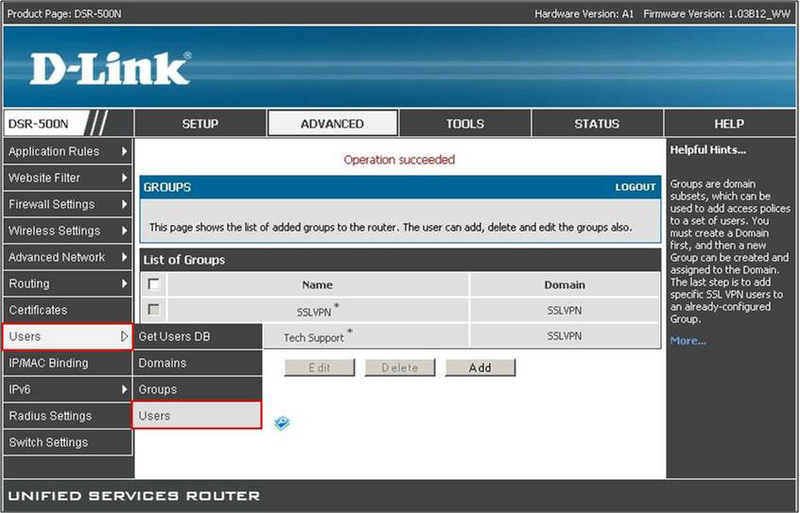 The table shows information about the service, the network source and destination and also if the link-up is enabled or not. The user can enable, disable and or edit a binding standard and also remove configured links if and when needed. 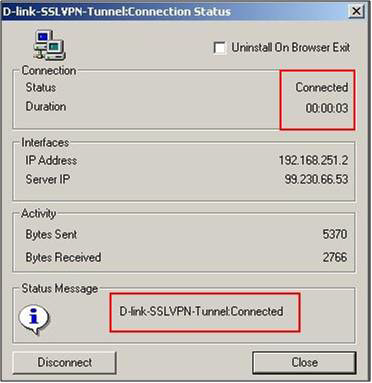 Note: In this example, SSL VPN users can access the entire 192.168.10.x network and have access to all ports. Once the installer launches it will automatically connect to your SSL VPN. 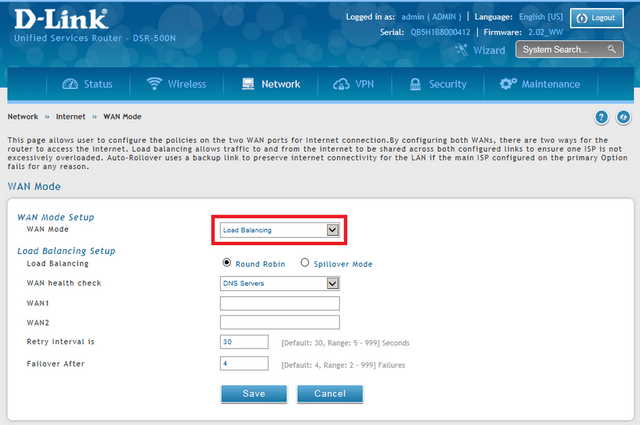 Symptom: You cannot access the router‘s web-configuration interface from a PC on your LAN. 1. Check the Ethernet connection between the PC and the D-Link router. 2. 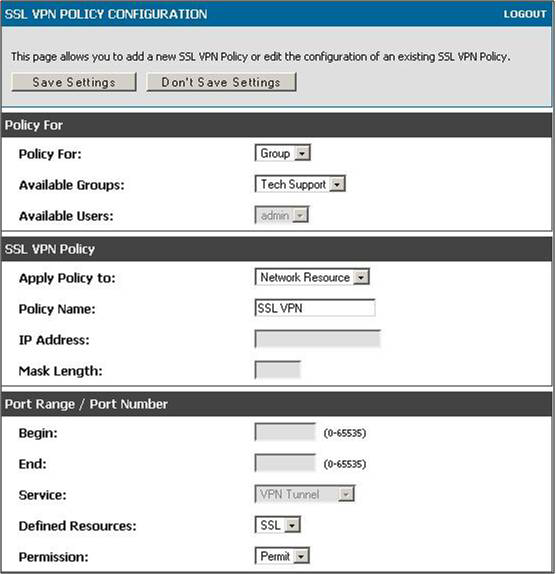 Ensure that your PC‘s IP address is on the same subnet as the router. If you are using the recommended addressing scheme, your PC‘s address should be in the range 192.168.10.2 to 192.168.10.254. 3. Check your PC‘s IP address. If the PC cannot reach a DHCP server, some versions of Windows and Mac OS generate and assign an IP address. These auto-generated addresses are in the range 169.254.x.x. 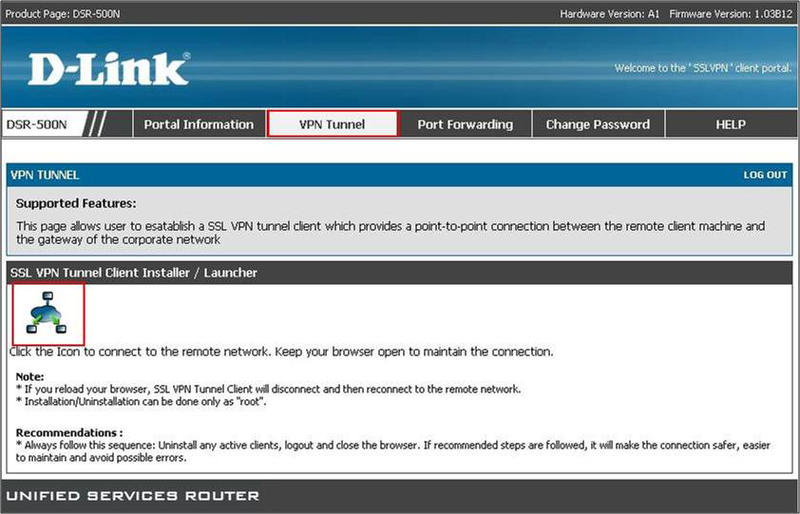 If your IP address is in this range, check the connection from the PC to the firewall and reboot your PC. 4. If your DSR Series router‘s IP address has changed and you don‘t know what it is, reset the router configuration to factory defaults (this sets the firewall‘s IP address to 192.168.10.1). 5. If you do not want to reset to factory default settings and lose your configuration, reboot the router and use a packet sniffer (such as Ethereal™) to capture packets sent during the reboot. Look at the Address Resolution Protocol (ARP) packets to locate the router‘s LAN interface address. 7. Ensure that you are using the correct login information. The factory default login name is admin and the password is password. Ensure that CAPS LOCK is off when entering this information. 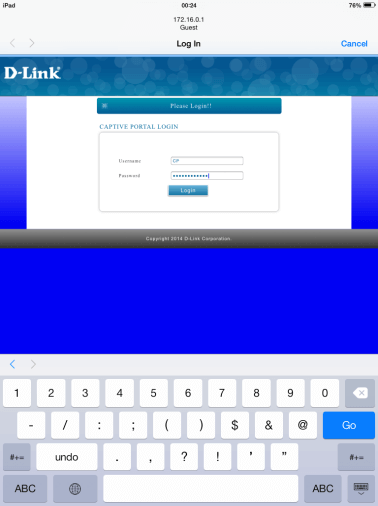 Symptom: D-Link Router does not save configuration changes. 1. When entering configuration settings, click Apply before moving to another menu or tab; otherwise your changes are lost. 2. Click Refresh or Reload in the browser. Your changes may have been made, but the browser may be caching the old configuration. Symptom: Router cannot access the Internet. Possible cause: If you use dynamic IP addresses, your router may not have requested an IP address from the ISP. 1. Launch your browser and go to an external site such as www.google.com. 2. 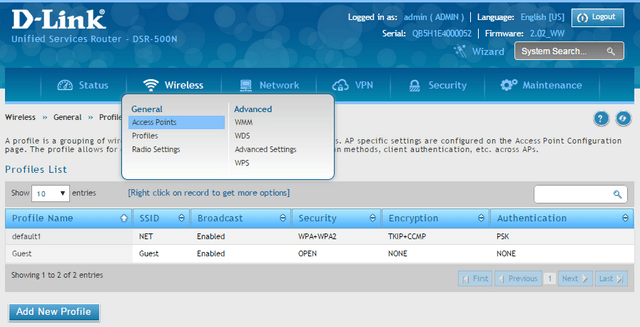 Access the firewall‘s configuration main menu at http://192.168.10.1. 3. Select Monitoring > Router Status. 4. 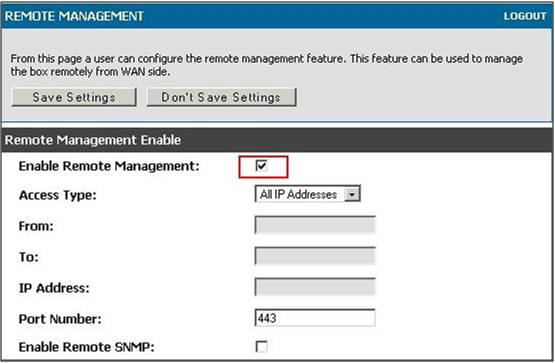 Ensure that an IP address is shown for the WAN port. If 0.0.0.0 is shown, your firewall has not obtained an IP address from your ISP. See the next symptom. 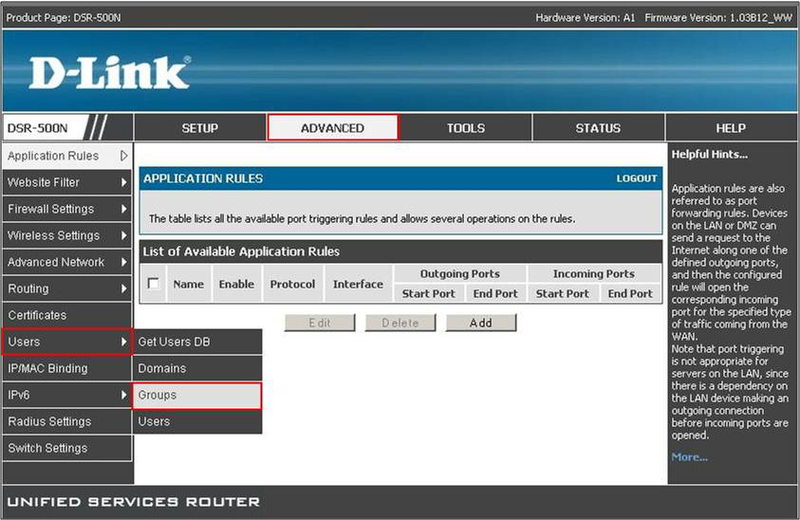 Symptom: Router cannot obtain an IP address from the ISP. 1. Turn off power to the cable or DSL modem. 2. Turn off the router. 3. Wait 5 minutes, and then reapply power to the cable or DSL modem. 4. When the modem LEDs indicate that it has resynchronized with the ISP, reapply power to the router. 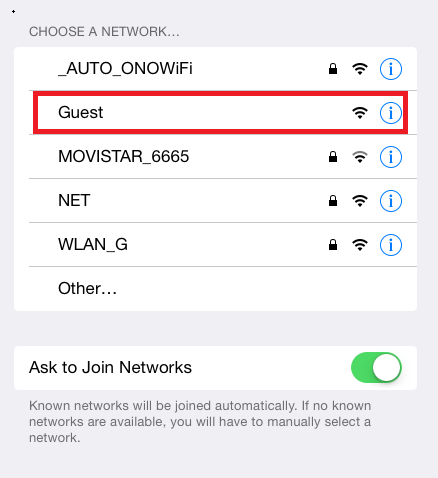 If the router still cannot obtain an ISP address, see the next symptom. 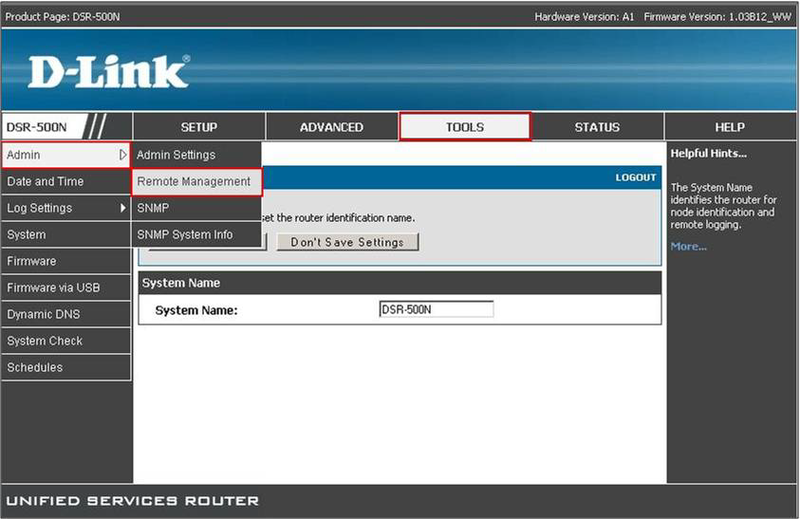 Symptom: Router still cannot obtain an IP address from the ISP. 1. Ask your ISP if it requires a login program — PPP over Ethernet (PPPoE) or some other type of login. 2. If yes, verify that your configured login name and password are correct. 3. Ask your ISP if it checks for your PC’s hostname. 4. If yes, select Network Configuration > WAN Settings > Ethernet ISP Settings and set the account name to the PC hostname of your ISP account. 5. Ask your ISP if it allows only one Ethernet MAC address to connect to the Internet, and therefore checks for your PC‘s MAC address. 6. If yes, inform your ISP that you have bought a new network device, and ask them to use the firewall‘s MAC address. 7. Alternatively, select Network Configuration > WAN Settings > Ethernet ISP Settings and configure your router to spoof your PC‘s MAC address. 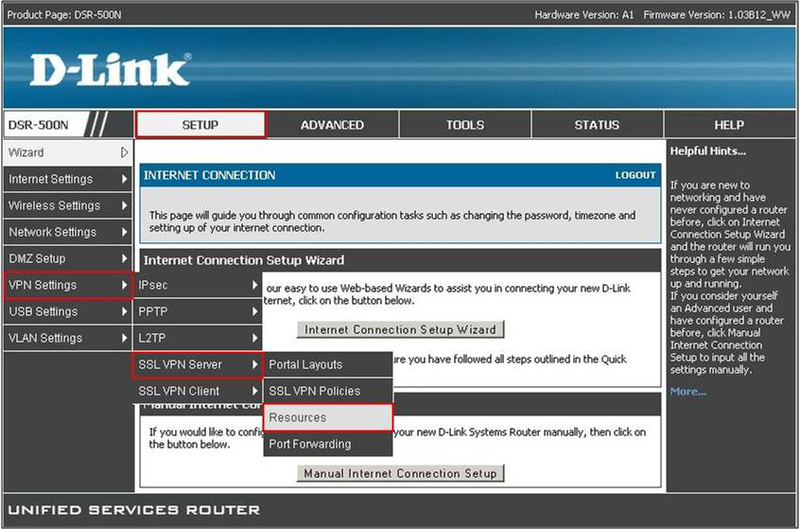 Symptom: Router can obtain an IP address, but PC is unable to load Internet pages. 1. Ask your ISP for the addresses of its designated Domain Name System (DNS) servers. Configure your PC to recognize those addresses. For details, see your operating system documentation. 2. 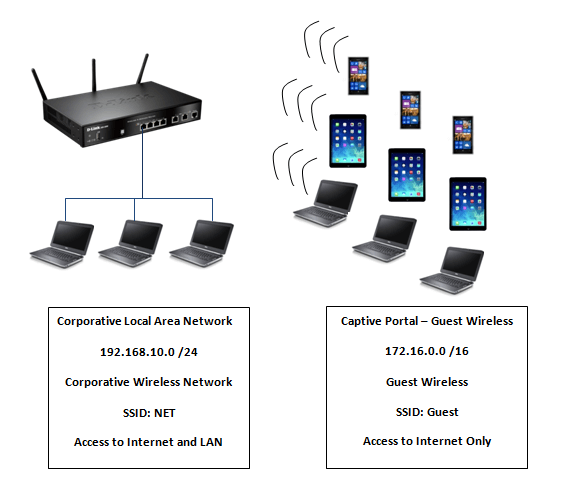 On your PC, configure the router to be its TCP/IP gateway. 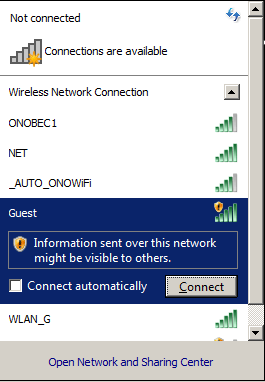 Note:If the router‘s LAN IP address was changed, use that IP address in the navigation bar of the browser to access the router ‘s management UI. By default, the router functions as a Dynamic Host Configuration Protocol (DHCP) server to the hosts on the WLAN or LAN network. With DHCP, PCs and other LAN devices can be assigned IP addresses as well as addresses for DNS servers, Windows Internet Name Service (WINS) servers, and the default gateway. 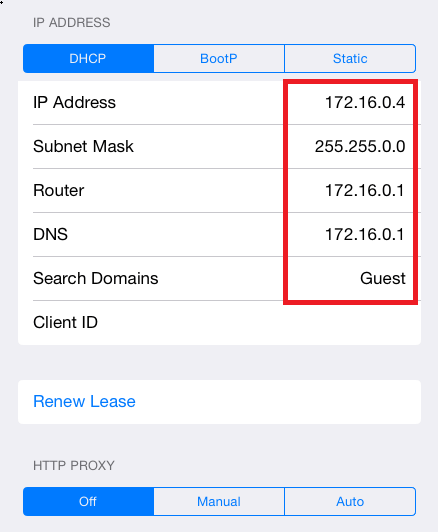 With the DHCP server enabled the router‘s IP address serves as the gatewa y address for LAN and WLAN clients. The PCs in the LAN are assigned IP addresses from a pool of addresses specified in this procedure. Each pool address is tested before it is assigned to avoid duplicate addresses on the LAN. For most applications the default DHCP and TCP/IP settings are satisfactor y. 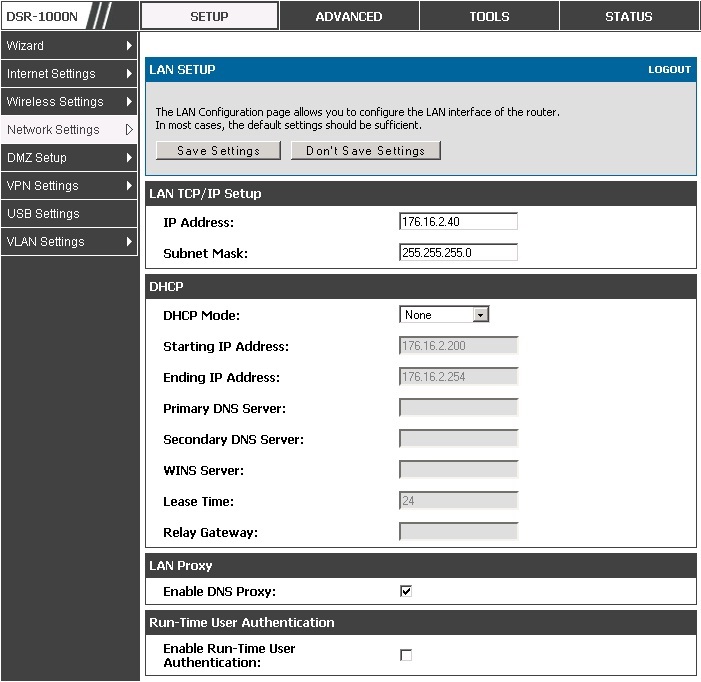 If you want another PC on your network to be the DHCP server or if you are manually configuring the network settings of all of your PCs, set the DHCP mode to ‗none‘ .DHCP relay can be used to forward DHCP lease information from another LAN devi ce that is the network‘s DHCP server; this is particularly us eful for wireless clients. 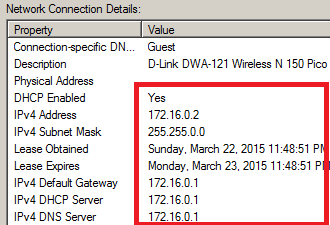 address in the DHCP configuration when acknowledging a DHCP request from a DHCP client. 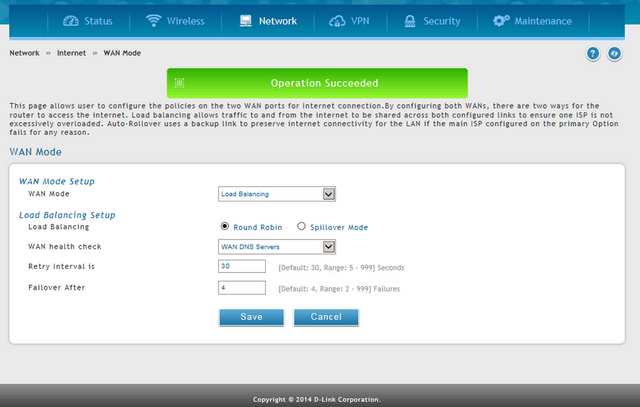 You can also enable DNS proxy for the LAN. When this is enabled the router then as a proxy for all DNS requests and communicates wit h the ISP‘s DNS servers. When disabled all DHCP clients receive the DNS IP addresses of the ISP. IP address (factor y default: 192.168.10.1). 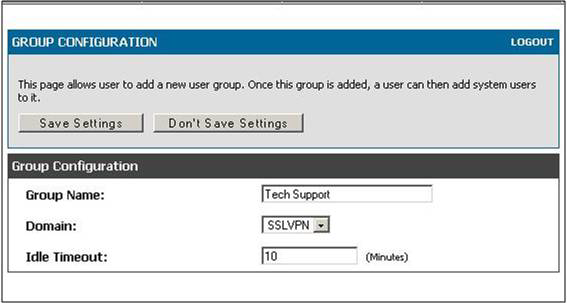 If you change the IP address and click Save Settings, the GUI will not respond. Open a new connection to the new IP address and log in again. 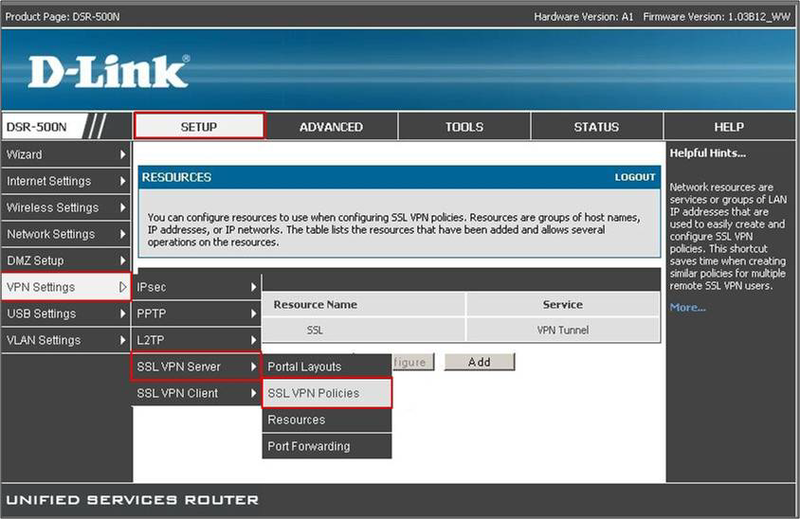 Be sure the LAN host (the machine used to manage the router) has obtained IP address from newly assigned pool (or has a static IP address in the router‘s LAN subnet) before accessing the router via changed IP address. • Subnet mask (factor y default: 255.255.255.0). • DHCP Server. With this option the router assigns an IP address within the specified range plus additional specified information to any LAN device that requests DHCP served addresses. 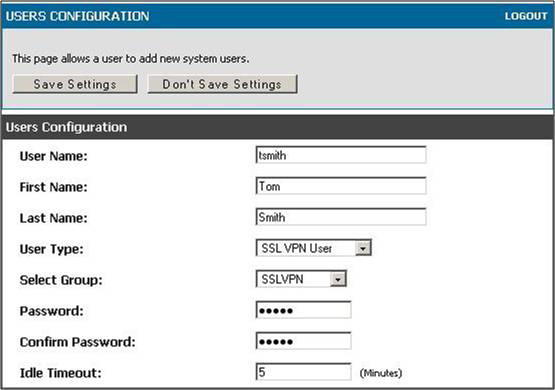 • DHCP Relay: With this option enabled, DHCP clients on the LAN can receive IP address leases and corresponding information from a DHCP server on a different subnet. 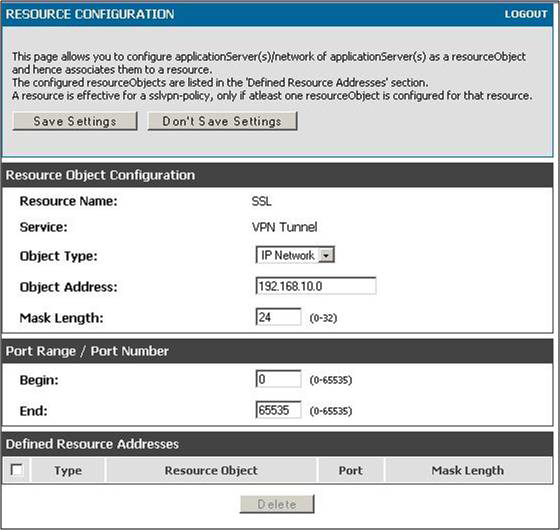 Specify the Relay Gateway, and when LAN clients make a DHCP request it will be passed along to the server accessible via the Relay Gateway IP address. address. You may wish to save part of the subnet range for devices with statically assigned IP addresses in the LAN. • Primary and Secondary DNS servers: If configured domain name system (DNS) servers are available on the LAN enter their IP addresses here. • WINS Server (optional): Enter the IP address for the WINS server or, if present in your network, the Windows NetBios server. • Lease Time: Enter the time, in hours, for which IP addresses are leased to clients. 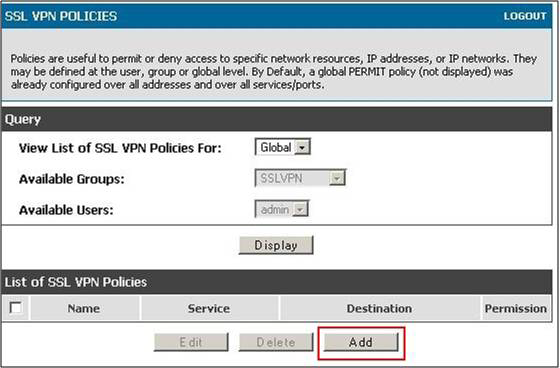 • Enable DNS Proxy: To enable the router to act as a proxy for all DNS requests and communicate with the ISP‘s DNS servers, click the checkbox. 3. Click Save Settings to apply all changes.